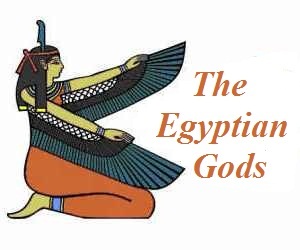 This article contains fast, interesting, fun facts about Ihy for research, schools, students and kids providing an insight into the lives and religious beliefs of the ancient Egyptians. He was depicted as a young god who personified joy and celebration. He was the patron of music and his symbol was the sistrum. The sistrum sistrum is an ancient musical percussion instrument, a sacred rattle used in various ancient Egyptian ceremonies. He was viewed as the god of music which associated him with joy, pleasure, lust and, in turn, fertility. His female counterpart was the goddess Bat. 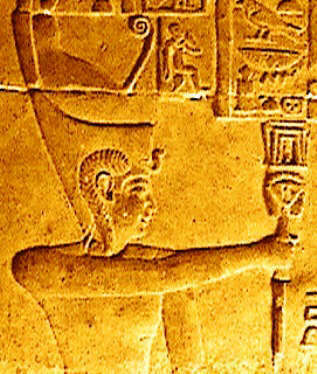 The above image shows the young god holding a sistrum. He is also depicted wearing the Pshent crown of Egypt that represented a unified Egypt, a combination of the red crown and the white crown. His name was interpreted by the ancient Egyptians as 'Sistrum Player'. 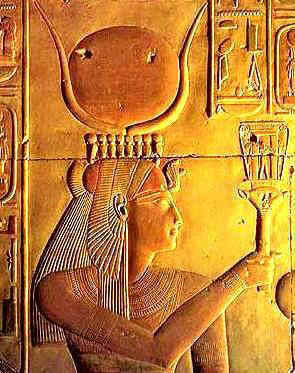 He was revered by the ancient Egyptians as the son of Horus the solar god and Hathor, the cow goddess. Together with Horus and Hathor he became a member of the Triad of Dendera which was located south of Abydos in Upper Egypt. His name is mentioned in the Coffin Texts and later in the Book of the Dead. He is referred to as the "Lord of bread...in charge of beer". 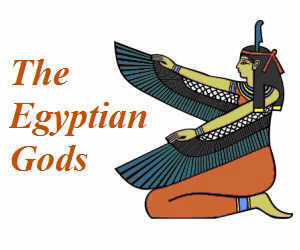 Facts and information about Ihy for kids with some amazing, cool and quick information about ancient Egypt and Egyptians. These fast interesting facts about Ihy are ideal for children, homework, schools, teachers and kids of all ages.